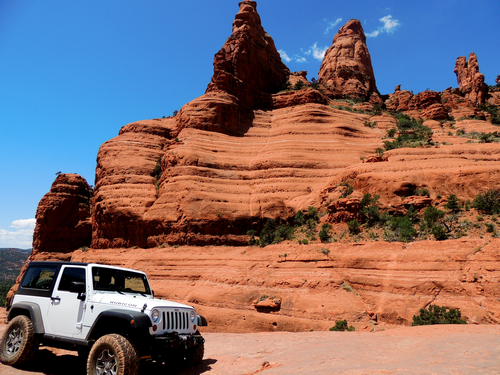 Broken Arrow is by far the most talked about and most traveled Jeep trail in Sedona. The road is maintained by Pink Jeep Tours in cooperation with the US Forest Service. Be prepared to see at least a dozen Pink Jeeps, as well as a dozen other Jeeps, while enjoying this short trail. Do not let the traffic stop you - you will like the trail. 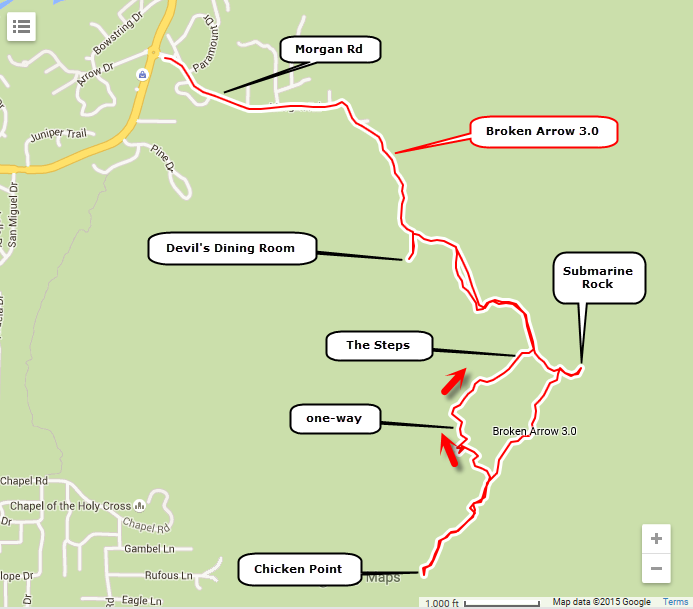 Near the start you will see an unmarked road turning right to Devil's Dining Room. This is a sinkhole just a few feet beyond the end of a short spur. Submarine Rock offers nice views of white cliffs instead of the usual red rocks of Sedona. 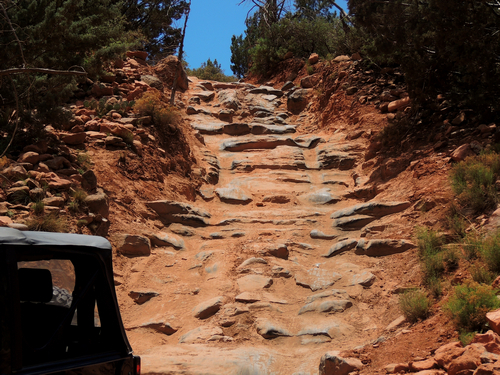 A lot of the trail is fun to drive as you get some minor rock crawling on slickrock. The hill known as "The Steps" is the toughest part, and is the reason for the 3.0 rating. This section is one-way (down). 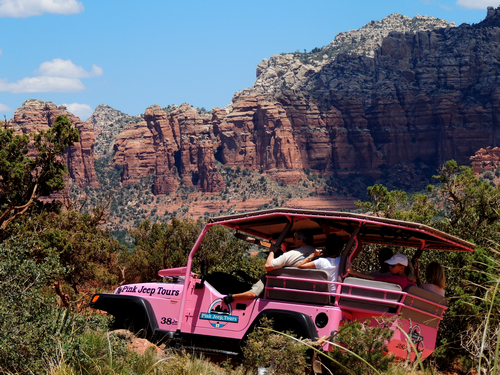 Not exceptionally difficult, but a heck of a big thrill for tourists riding in the Pink Jeeps. Trail's end is a spot called "Chicken Point" because Jeeps used to drive beyond the present end of the trail and circle around a very small point with steep drop offs. Look closely at the sandstone face above Chicken Point and you will see a horizontal layer of thin white rock. This rock is harder than the sandstone and has not eroded as quickly. It is a shelf about a foot wide that a few foolish mountain bikers ride on.